DVD guitar pick bracelets! 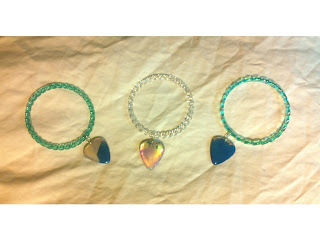 They come with green, blue or clear plastic bracelets and a unique iridescent glittering pick. Of all the materials I've worked with this is the one that's got the most compliments! DVD material shines in many different colors and it's really pretty. 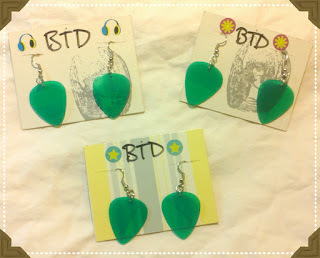 Record guitar pick earrings! Guitar picks cut from a greenish blue 45 record. 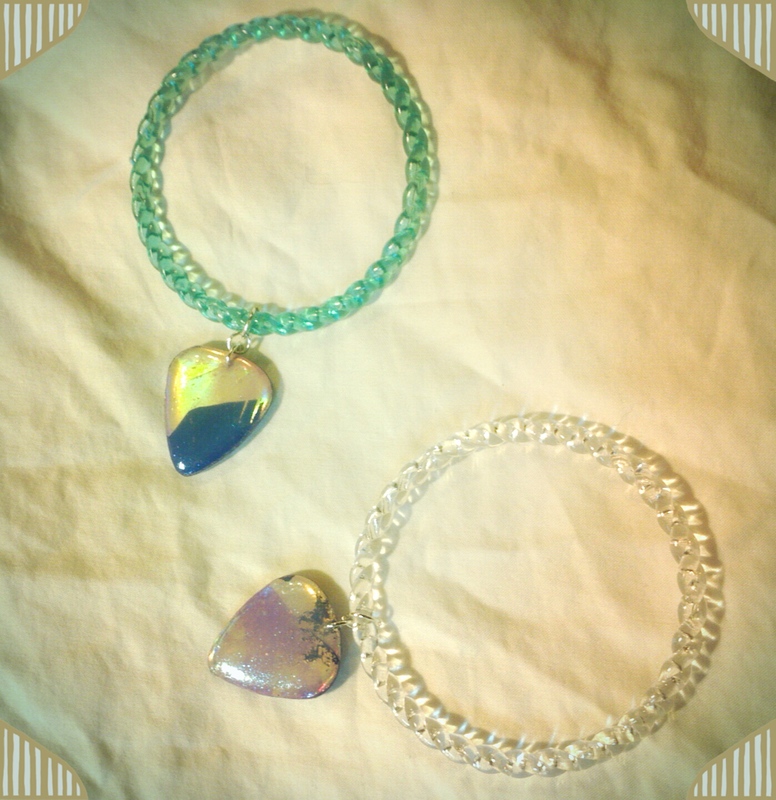 Edges are filed, and guitar pick earrings look great against the sunlight.